This is a favorite summer grill for anyone who loves Mexican-inspired cuisine. This savory dish is easy to prepare but does require additional time for marinading the meat. Limes are not created equal! 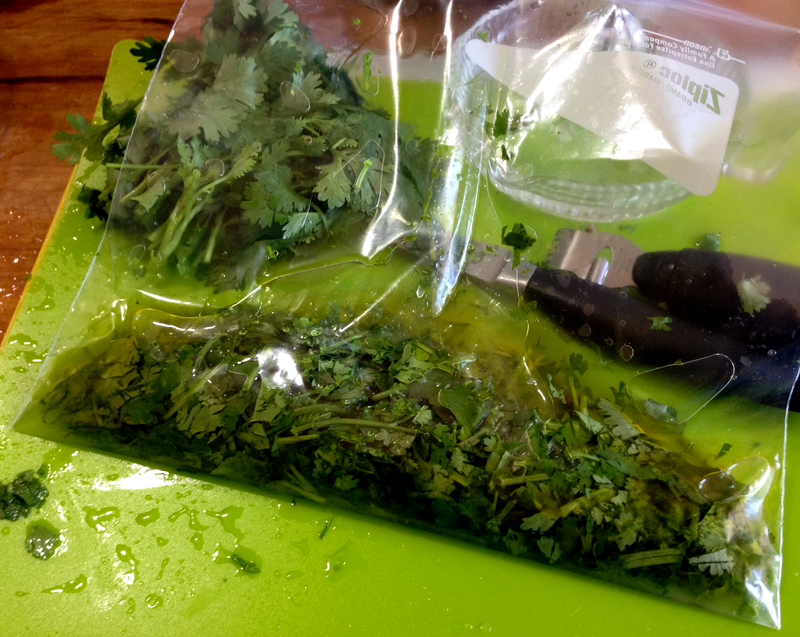 Mix marinade ingredients in a large plastic ziplock bag. Season chicken. 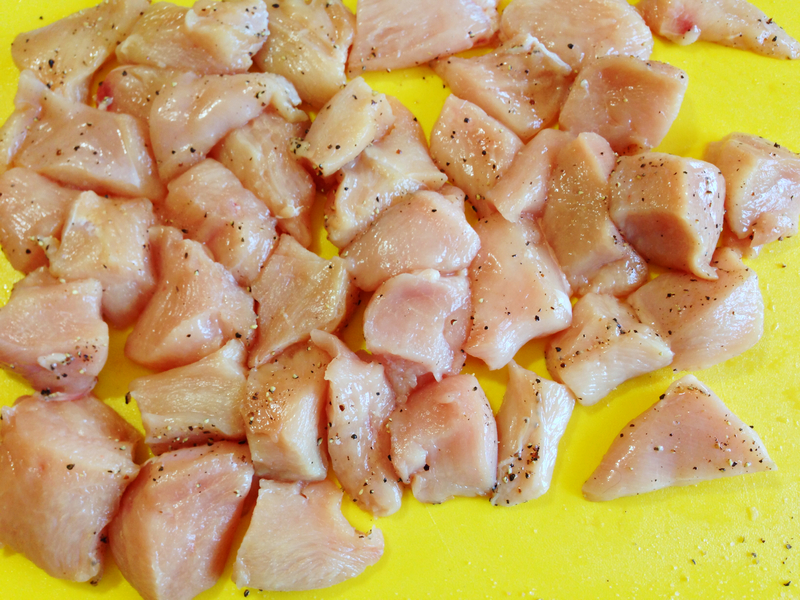 Cut into chunks, then re-season, focusing on the cut sides. Please chicken in ziplock bag, let as much air out as possible and seal. Massage marinade into the chicken. Let chicken marinade at least four hours in the fridge or an hour at room temperature (70ish, not 80ish!). If marinading in the fridge, let stand at room temperature 20-30 minutes before cooking. Preheat grill to medium (~350-375). Place chicken in a grilling basket or on skewers. Cook, turning occasionally, until done; about 4 minutes per side. Serve with sliced lime, salsa, sour cream. Accompany with rice, salad, tortillas. * I use Meyer Lemon Olive Oil and Gourmet Garden chunky garlic ** I've been mixing the juice of Persian and Mexican limes. See resources below for information on the differences. *** I use Citrus Champagne Wine Vinegar **** optional; I use Boyajian Lime Oil These are organic chicken breasts from Costco. Oil, lime, garlic, cilantro — waiting for chicken. You can see my small zester; I also use a microplane grater/zester rasp. This is the MUI flexible cutting board for vegetables. 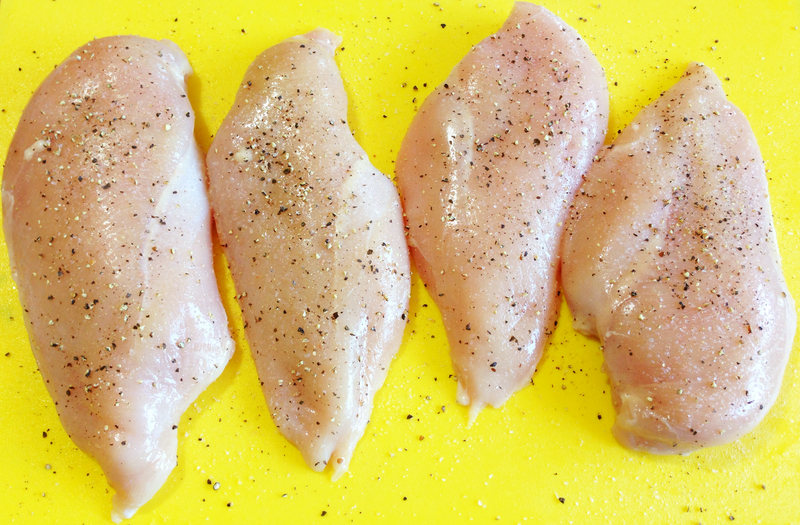 Season breasts before cutting into chunks. Now season the cut side of the chunks. You can see here which portions need seasoning. 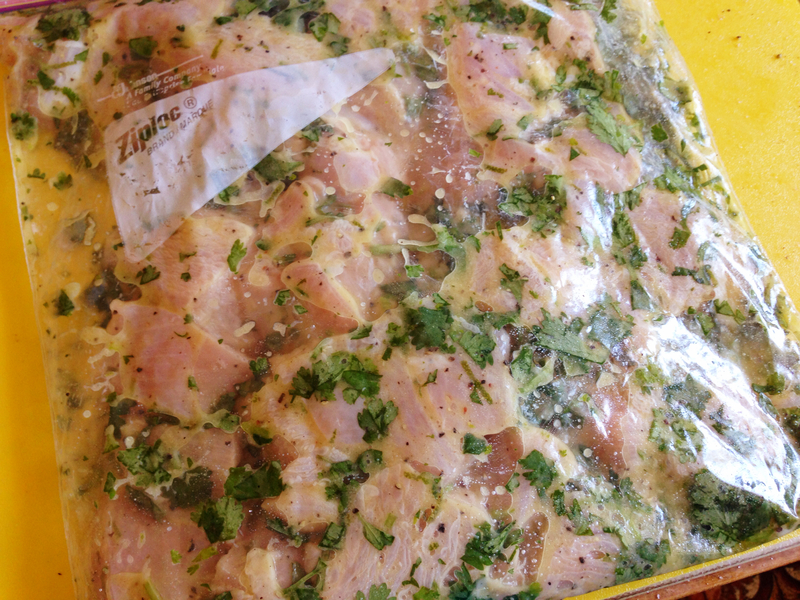 Seal marinade bag, massage ingredients into chicken. Wait! Then to the grill. The juice from the conventional limes has lower pH than that of the Key lime juice; thus, conventional limes are more tart. Also, less work to get the same amount of juice!